New for Spring Summer 2018 is our 100% linen dress. A beautiful dove colour which is grey meets blue. 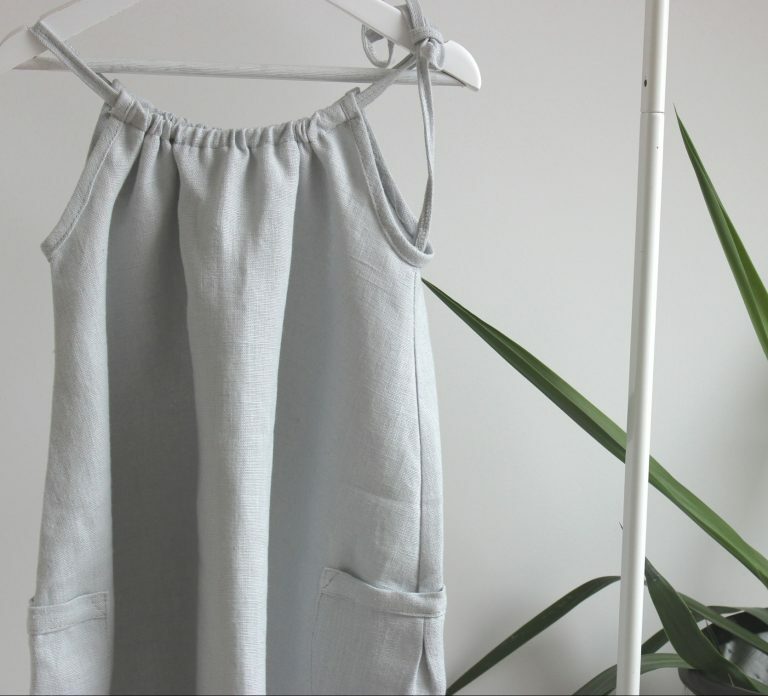 It’s the perfect item for holiday clothing, it’s loose, it’s pretty and because it’s made from 100% linen. It will keep them cool and comfortable. With two little pockets to keep their small treasures with them. Complete with drawstring to adjust the size, this dress is made to last at least the year, not just the Summer. Add a roll neck top and wooly tights and it will look just as good in the Winter. 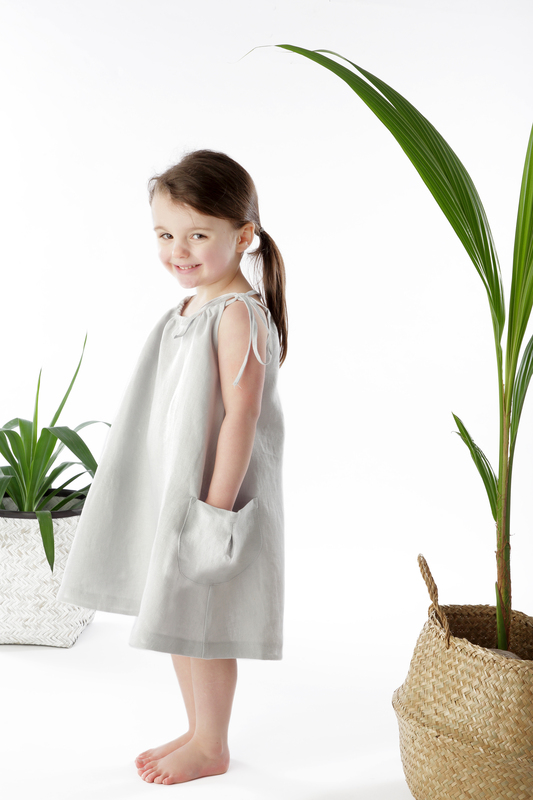 We pride ourselves on being a sustainable luxury baby and children’s brand. Creating timeless pieces made from sustainable materials. 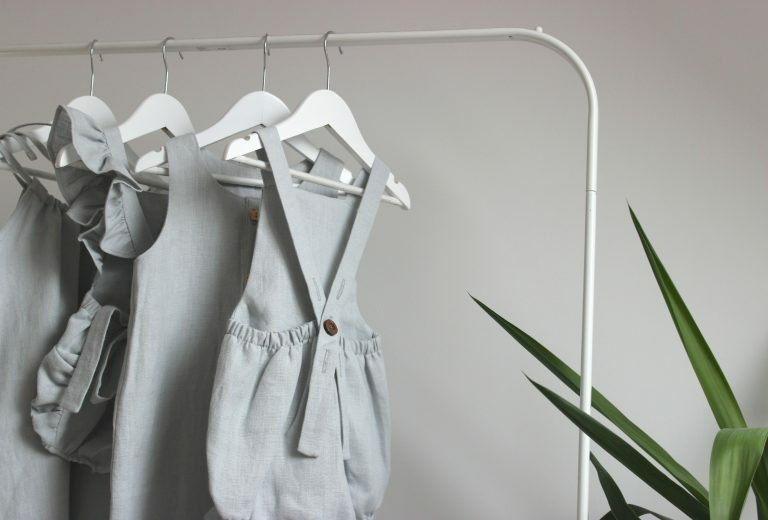 Linen is one of the most durable materials as well as being antibacterial which is always great to hear as a mum. 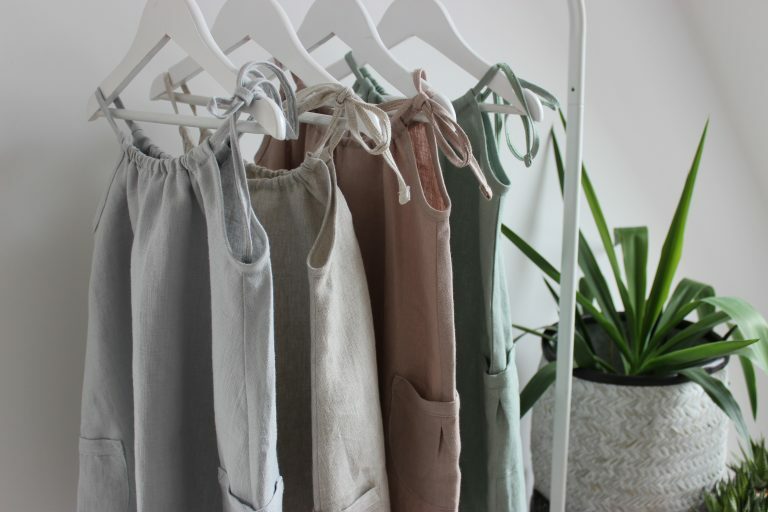 We choose to use linen for our clothing because not only is it sustainable. It’s the most luxurious in the way it was formed. It’s more durable than most other materials which is important when it comes to children. It actually becomes stronger the more wet it becomes plus it’s antibacterial. If that’s not enough, it becomes softer with every single wash too. Machine washable at 30, do not tumble dry. Our clothing is true to size but please check our measurements chart if you are unsure. Disclaimer – some of our clothing may include buttons, drawstrings or tie straps just like a child’s hoody or apron or a smart shirt. It is your responsibility to supervise your little one’s at all times to help keep them safe.